Campuses that failed to win approval for their student IDs to be used for voting will get more time and a clearer definition of the requirements under a bill approved Thursday afternoon by the state House of Representatives. In a 100-9 vote, the House gave approval to H646, which clarifies the requirements and extends the application deadline. Rep. David Lewis, R-Harnett, who chairs the House Committee on Elections & Ethics Law, told House members during debate Thursday afternoon that the legislation doesn't change any of the policies on Voter ID but makes a necessary set of technical fixes to the process. "Whether you're a proponent of Voter ID or not, this is a bill that makes sense and will enable more people to have an opportunity to exercise their right," Lewis said. Lewis co-sponsored the bill along with Rep. John Hardister, R-Guilford, and two Democrats, Reps. Ray Russell, D-Watauga, and Zack Hawkins, D-Durham. Russell and Hawkins had sponsored a bill earlier in the session to extend the deadline as it became evident many campuses would not meet the requirements. Both thanked Lewis for keeping his word to introduce the changes if a substantial number of colleges were affected. Hawkins said the bill gives colleges, universities and community colleges "the time that they need and the resources they need to comply." He said it would improve voting access for roughly 900,000 students across the state. The move comes after a hurried process and a dispute over qualifications caused dozens of public and private campuses, including UNC Chapel Hill, UNC Charlotte, East Carolina University and nine other system schools, to miss the cutoff date. Without the fix, those campuses would have to wait until after the 2020 elections to reapply, meaning their students would not be able to use campus IDs to vote in the 2020 presidential election. Photo identification will be a requirement at the polls starting next year. 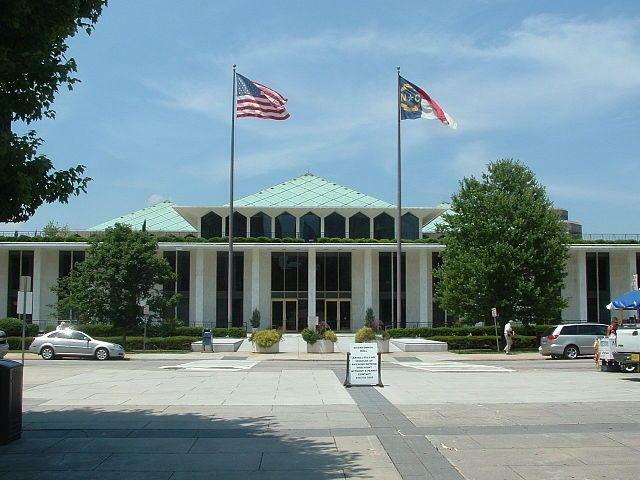 The new legislation tracks some of the issues raised by UNC system officials as the deadline for approval approached in mid-March. The bill drops language that required administrators to certify their ID process as full proof under threat of perjury and allows for schools to use photos submitted by students as long as they spell out how they make sure the photo is of the student. Also dropped from the original measure is a proof of citizenship requirement that was in conflict with confidentiality protocols at some campuses. The new bill makes it optional. The measure extends the approval deadline for campuses as well as tribal IDs, community colleges, charter schools, and state and local government agencies to Nov. 1. Under the prior law, passed in late December, the deadline for approval was March 15 and required new rules to be drafted by Feb. 1, one day after the newly constituted state Board of Elections took office. The bill gives the board a longer timeline to establish the rules with drafts of rules laying out parameters of security measures for students ID cards due by Sept. 15. Josh Lawson, state Board of Elections general counsel, said he and the board staff had a good deal of input into the legislation. "It appears to resolve all the university issues, thankfully," Lawson said Thursday evening. The legislation now moves to the Senate. A statement from Bill D'Elia, spokesperson for Senate leader Phil Berger, D-Rockingham, said the Senate would act on the House bill or similar legislation this session. "We have had conversations with the House on some ideas to resolve this issue, and we expect to finalize a solution before the end of session," D'Elia said after the vote Thursday. "Whether that's the House bill as it stands or some version of that bill remains to be seen." Bob Phillips, executive director of Common Cause North Carolina, said H646 appears to fix the issues with campus IDs in the original bill. "To the extent of how restrictive it was, this is a big improvement from what I can tell," he said. In addition to the voter ID provisions, the bill also adds flexibility for counties in how they set up one-stop voting locations. Counties are required to keep all sites open from 7 a.m. to 7 p.m. during the 17-day early voting period, which has led to a reduction of sites in some counties because of the cost. During House discussion Thursday, Lewis said the current system was proving too costly, especially in rural counties and greater flexibility was needed. Phillips said the change for the 2019 municipal cycles would help open up more sites for the local races. It also gives advocates pushing for a similar change for even year cycles some hope as legislators hear more about the impact, he said. "They're definitely getting feedback." This story was originally published on Carolina Public Press.